2 Bedroom Flat For Sale in Newcastle upon Tyne for Offers Over £125,000. Ideal first time buy or investment opportunity served with No Chain. Located in the Sallyport House building this first floor two double bedroom apartment has been redecorated to a good standard and is in a City Centre Location. The property is situated close to popular Newcastle bars, restaurants and transport links. 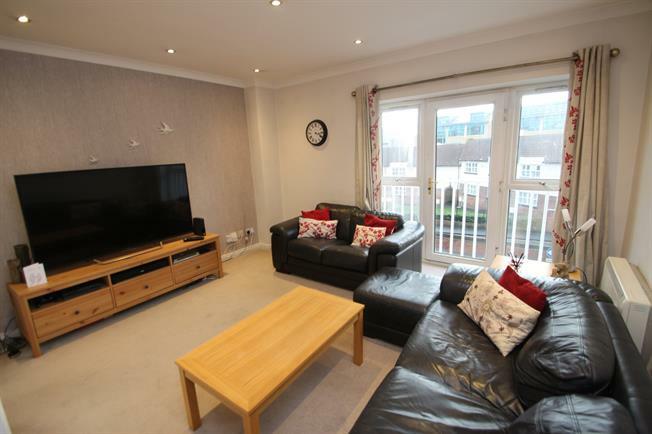 In brief the property comprises of a welcoming hallway leading to two double bedrooms, a spacious open plan lounge with dining area, a kitchen and a good sized bathroom. Externally the property offer's allocated parking. Viewings are highly advised please call now to arrange. Laminate flooring, built-in storage cupboard, ceiling light. Double bedroom; double glazed uPVC juliette window facing the front. Electric heater, carpeted flooring, a built-in wardrobe, ornate coving, feature light. Tiled flooring, part tiled walls and tiled splashbacks, ceiling light. Wall and base units, stainless steel sink with drainer, integrated, electric oven, integrated, electric hob, over hob extractor, space for. Double glazed uPVC juliette window facing the front. Radiator, carpeted flooring, ceiling light. Carpeted flooring, ornate coving, ceiling light. Heated towel rail, tiled flooring, tiled walls and tiled splashbacks, ceiling light. Standard WC, panelled bath, shower over bath, pedestal sink, extractor fan.